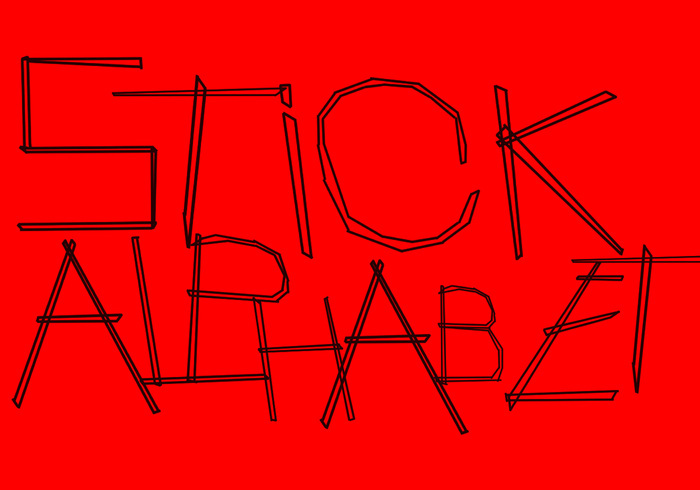 A Stick Alphabet - Free Photoshop Brushes at Brusheezy! Done for a client to recreate a piece of art that had been ruined by water. The original was done in ink I copied the letters as close as possible and this is the result . The client was happy with the results and amazed how close it came to the original. Gotta love that photoshop. Find all the little sticks I started and some rejects too. So stick to it and you can make your own letters. Ouch that was bad.